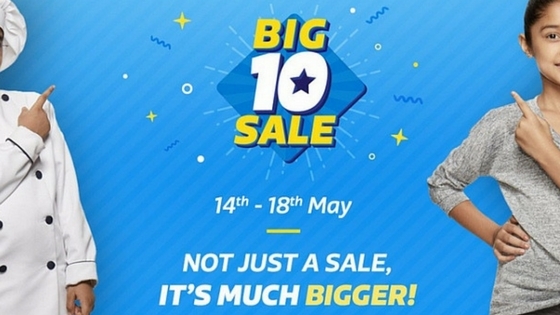 Flipkart is back with Big 10 Sale of the year. It runs till May 18. As is the case with any sale, massive discounts are offered to lure customers. Few such offers are great, and this post will contain the best-of-the-best offers to help you grab some good stuff at dirt-cheap prices. Needless to say, we will be only covering deals related to everything tech. You can still visit Big 10 Sale 2017 for offers across various other domains. Best deals under Amazon's Great Indian Sale are available here. P.S. : Bookmark this page as we will be updating the deals throughout the offer period. You can also subscribe to receive them directly in your inbox.